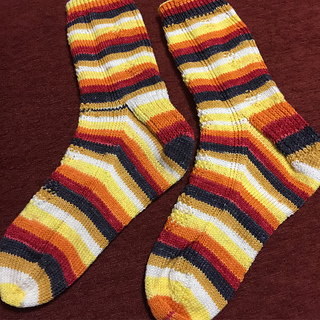 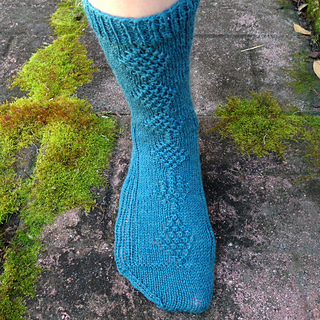 As seen in the February 2015 KnitCrate for Socks! 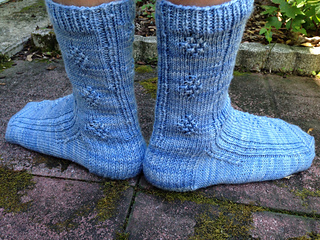 These socks feature larger diamonds on the front and smaller diamonds on the back. 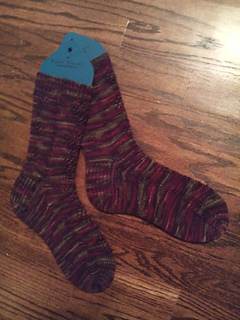 The knit/purl stripes frame each panel of diamonds, showing them off like a tray of solitaires at a jewelry store. 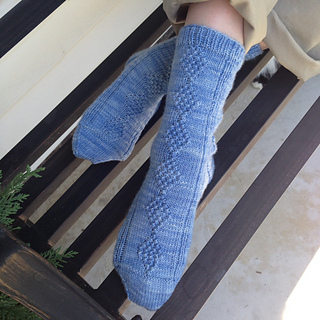 The slip-stitch heel flap is simple, but reinforces the strength of the sock and gives a subtle texture that won’t overpower the majesty of the diamonds. 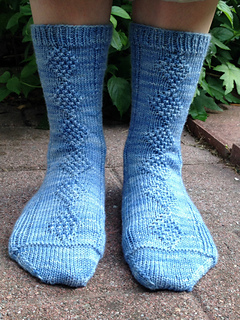 The ringlet stitch is easy to master and can be worked into other shapes. 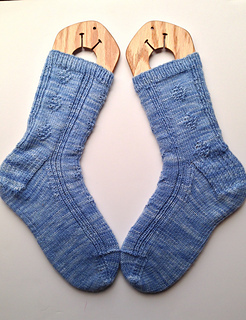 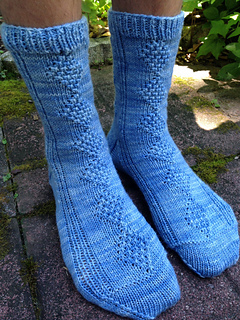 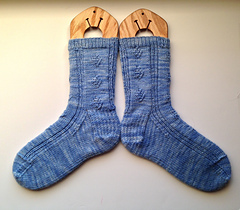 Knit in the round on double-pointed needles, these socks are worked from the cuff to the toe.